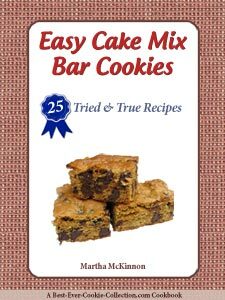 This is a simple homemade bar cookie recipe that only has five ingredients! 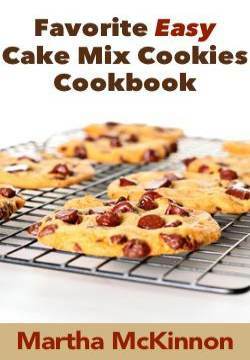 Which is perfect for the beginning baker or anyone who is short on time, but wants to make a special treat from scratch. If you love the wholesome sweetness of pralines, just imagine how much better they'll taste with chopped pecans and mini chocolate kisses. What's not to love about these little bite-size treats? These are the perfect dessert for any meal and make a nice addition to any holiday dessert tray. 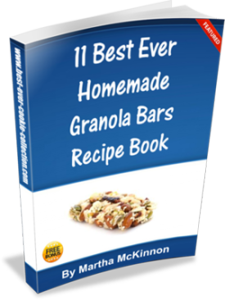 Whip up a batch today - you won't be disappointed! Preheat oven to 350F degrees. Set aside a 13x9-inch baking pan (for easier cleanup, line pan with foil and leave enough overhand on two opposite sides to form handles). In a large mixing bowl, stir together flour and 1 cup brown sugar. Using a pastry blender , cut in 1/2 cup butter until mixture turns crumbly. Press mixture evenly into bottom of baking pan. In a small heavy-duty saucepan , add 2/3 cup butter and 1/3 cup brown sugar. Stirring continously, bring to a boil over medium. All mixture to boil for 30 seconds (while continuing to stir) until sugar is completely dissolved. Remove from heat and drizzle evenly over pecan-layered crust. Bake for 18 to 22 minutes, or until top is golden and starts to bubble. 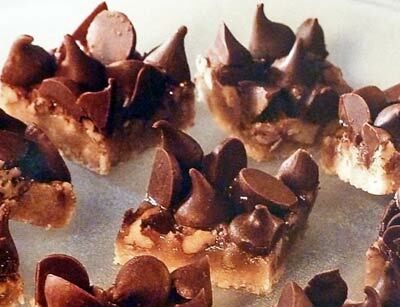 Remove from oven and immediately top with mini chocolate kisses. Set pan on wire rack to cool completely. This recipe makes about 36 Mini Praline Bites.